If you are interested in learning more about the blockchain industry and want to hear from some of the biggest thought leaders in the space, this is the podcast for you. 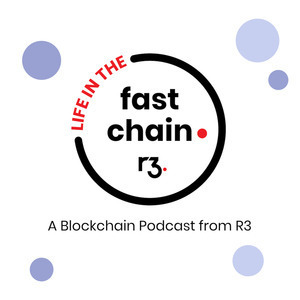 Hosted by R3's Catherine Rutter, you will hear from a plethora of guests in the blockchain world. The first few episodes star appearances with Mike Hearn, Colin Platt, and CommodDT co-founders. Be sure to subscribe and rate the podcast! 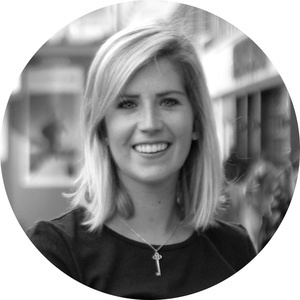 Catherine has Carlos Arena, head of Americas business development at R3. He talks about how Latin America is adopting blockchain, cryptos, AI & IoT, the Olympics, and why he likes to drink Mezcal. Listen on your favorite podcast app! Catherine has George Calle from R3's Market Intelligence team to discuss his recent paper "Will Businesses Ever Use Stablecoins" and Lamar Thomas a support engineer here at R3 joins for booze and blockchain to talk about what his role entails, Corda Enterprise, how he got into blockchain, and more. Listen on your favorite podcast app! Jorge and Catherine have a funny chat about how Everis and NTT Data are involved in the blockchain space, the value of open source & enterprise blockchains, 1337, why Catherine thinks she is psychic, Stampchain, why banks care about blockchain. This episode is filled with laughs! Listen on your favorite podcast app. Stephanie Perez is on the pod to talk about healthcare and how the industry could use this tech. Nick Rogers also joins us to talk about how he got into the blockchain space... it all starts with Schrute Bucks... if you know, you know. Listen on your favorite podcast app! Todd McDonald and Dave Hudson are on the podcast! Todd discusses stablecoins, Corda settler and the news about JPM Coin. Dave Hudson then joins to talk about why enterprise blockchains are important, why the open source community is important, what it means to shrink nodes (and why thats valuable), business network tools, Corda trials, why choose Corda over other platforms, scalability, privacy, and much more. Listen on your favorite podcast app! RiskBlock's Christopher McDaniel joins the podcast to talk about what he's doing with blockchain (Corda, specifically) and Ryan Rugg joins the podcast to discuss the Insurtech Challenge! Interestingly enough, they started out building their blockchain application using Ethereum, then decided to switch to Corda after realizing Ethereum wasn't a good fit! Listen on your favorite podcast app! Episode 21: Announcing Corda Network.... anddddd James Carlyle was lost at sea for a month. Say what?! James Graham, CEO and President of GuildOne is on and he talks about royalty ledger, oil & gas and the music industry, how Canada is adapting to blockchain, and many other blockchain, related topics. Then we have an announcement for graduate students. Listen on your favorite podcast app! Konstantinos Chalkias and Catherine sit down with beer and discuss how cryptography comes into play with blockchain. Episode 18: Corda Settler. A hip chat with Todd McDonald, Roger Willis, and David Nicol. Todd McDonald, Roger Willis, and David Nicol join for a casual conversation about our recently released Corda Settler. Daniel Eidan comes on the podcast to discuss the basics of blockchain. Episode 16: "If I'm gonna bet my job on this new blockchain application....."
Worldwide Director for blockchain, Raphael Davison from HPE comes on to discuss how he got thrown into the world of blockchain, how he works with different blockchains (including Corda) and expands on his Mission Critical DLT app. Sarah Lynch from the partner management team at R3 talks about Microsoft's announcement (11/15/2018) about the Azure Blockchain Development Kit. Ryan Rugg comes on to talk about the insurance industry and what she's doing here at R3. Austin Moothart is on again to discuss what "flows" are. Episode 13: Catherine learns about nodes via Tupperware containers and Kochava CEO Charles Manning calls in from Idaho! Episode 12: Austin drops more knowledge and Aishwarya Balaji joins the pod! Austin Moothart goes over what a "float" is in regard to Corda Enterprise and Aishwarya Balaji from Impact Chain Lab joins to discuss what her company does and their new project Bystander.